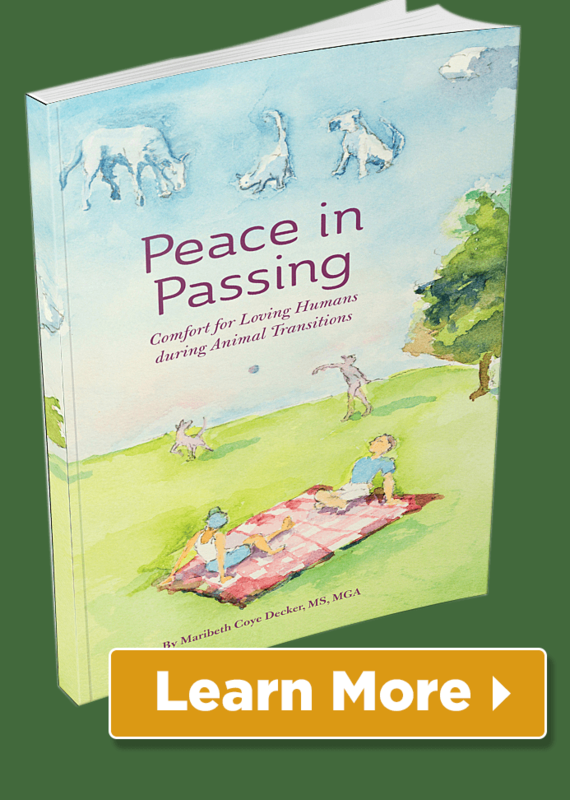 Peace in Passing Book | Sacred Grove: Intuitive animal communication & energy healing; Alexandria, VA. There is no need to suffer, as so many do, with the loss of a beloved animal companion. Get your copy of Peace in Passing today. Learn more about how animals can communicate their needs and wishes to us. 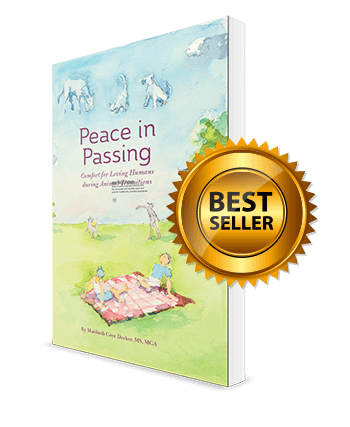 “Peace in Passing” offers much-needed support! Everyone who has a pet who is dying or who has died can benefit from this book. If you know someone in that situation, this book can help them. Buy it and hand it to them! This is such an under-discussed human topic! Our animals live with us and love us and their deaths mean so much to us. 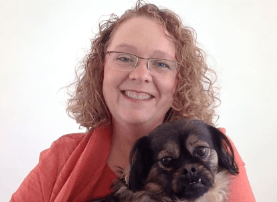 Maribeth gives the reader solid advice, interspersed with stories of animals and people she has helped. “Peace in Passing” offers much-needed support! Very insightful, especially for someone like me who is not an instinctive animal parent. Very straight forward and grounded in reality and compassion. Very engaging and heartfelt. Couldn’t put it down until the end. 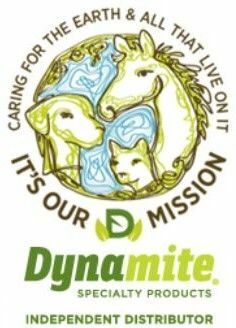 Loved reading about all the owners and pets. 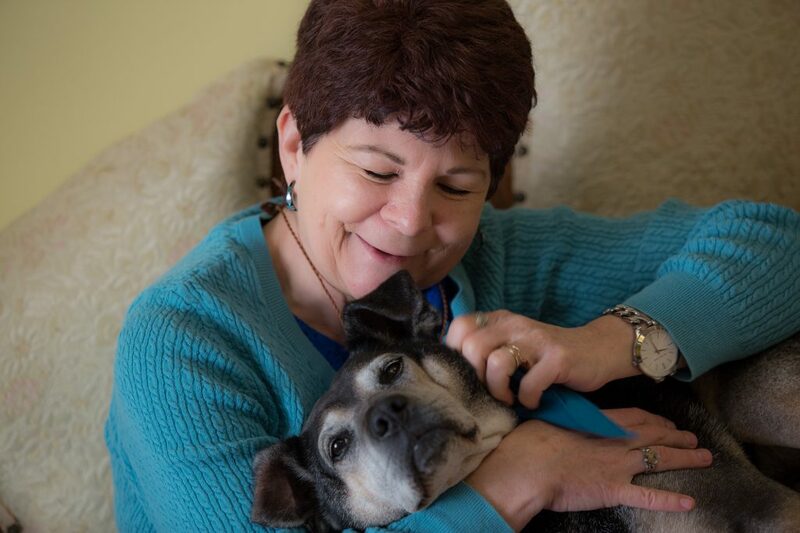 Maribeth has an amazing gift and compassion for her clients, both human and animal.